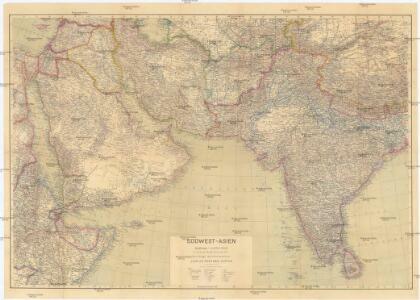 Map of Persia, Turkey in Asia, Afghanistan, Beloochistan ; Palestine, or the Holy Land [inset]. Evropa Ziegler, Jakob Melchior Ritter, Carl Top. Anstalt v. J. Wurster u. Comp. Turkey, Saudi Arabia, Afghanistan, and Iran.